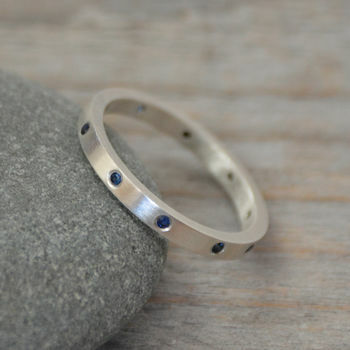 An eternity ring featuring 10 brilliant cut sapphires evenly set around the ring. 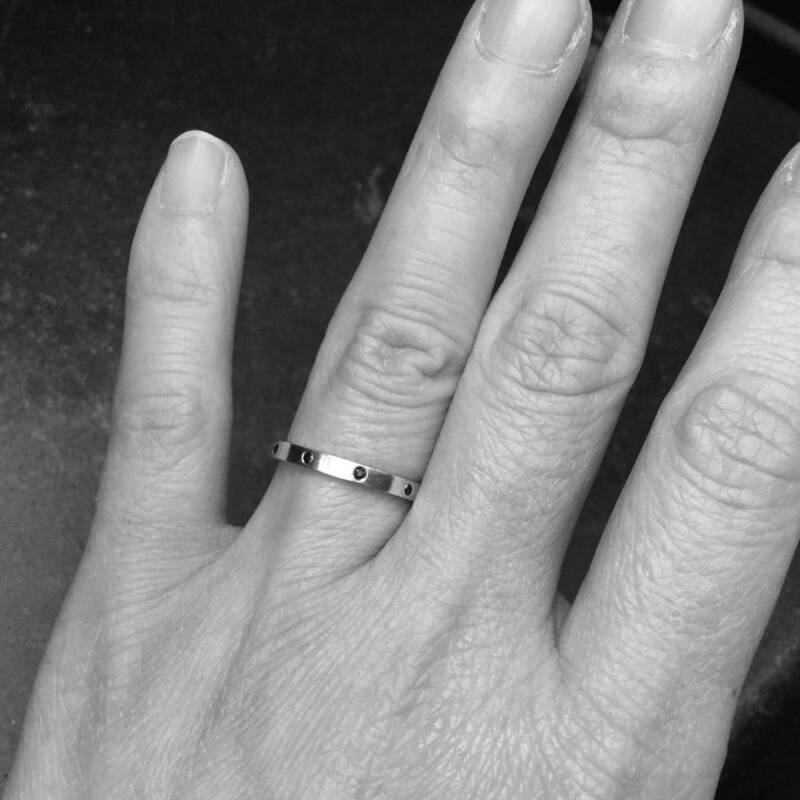 This wedding band is stackable. Ideal to wear next to any engagement ring or on its own. 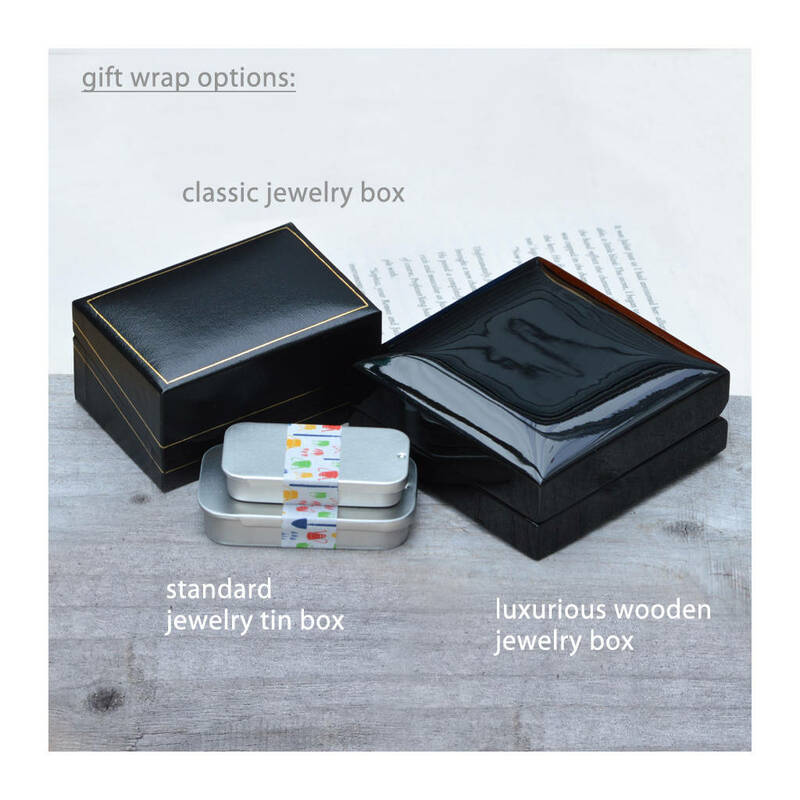 It is handmade at our studio using the traditional method which has been used to make fine jewellery for thousands of years. 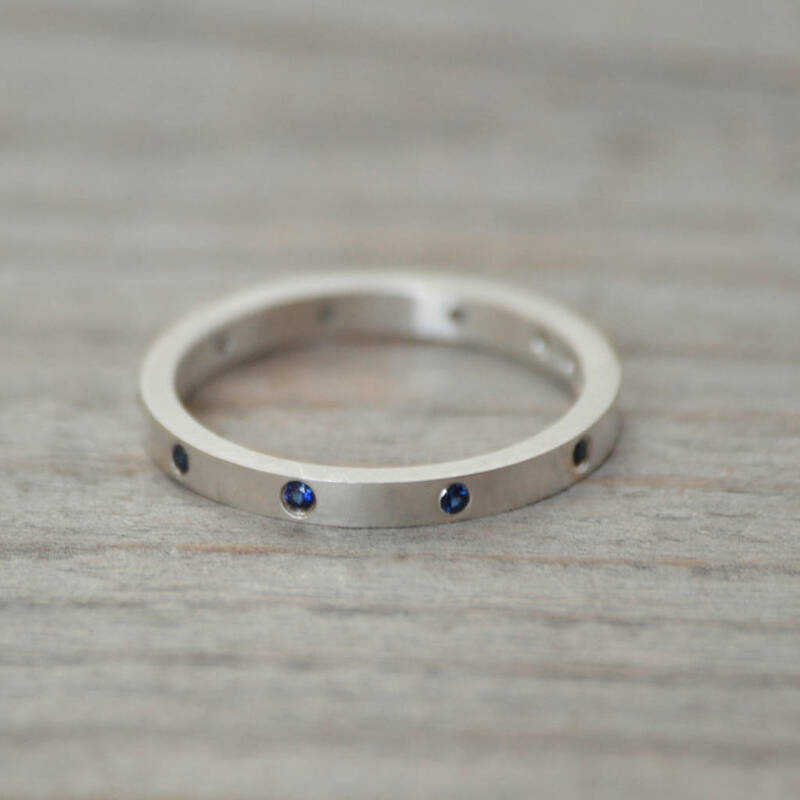 The eternity ring with its band of precious stones symbolizes endless love, and would make the perfect gift for a special anniversary or indeed as a wedding band in its own right. Available in UK size I - S.
This ring is not resizable and nickel free. 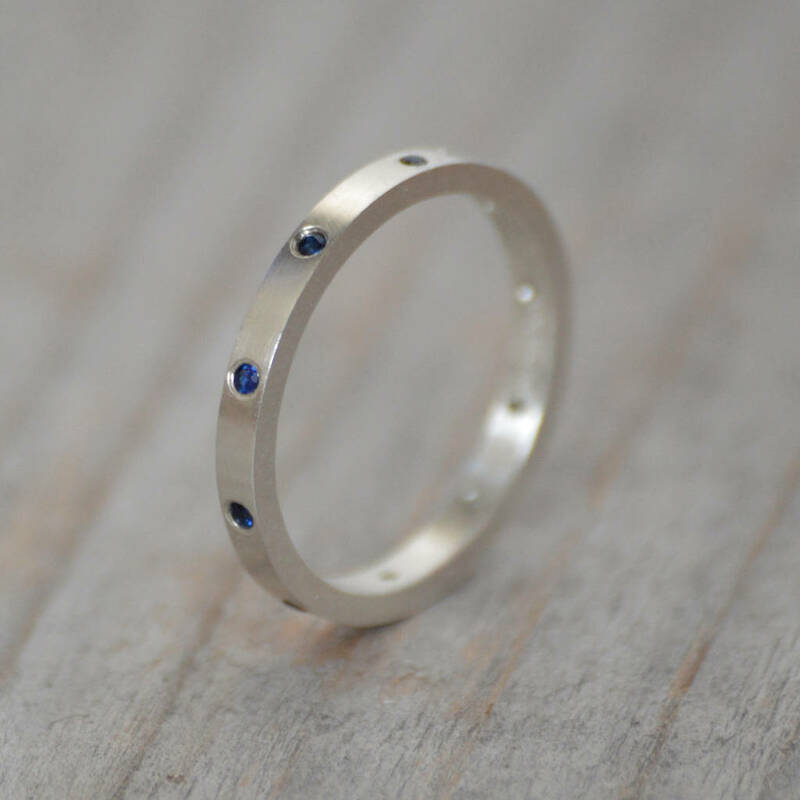 Sapphire and solid sterling silver.